For today’s episode, I visited with the lovely and talented Jen Creed of Jen & Chris Creed Photography. While still a teenager, Jen started shooting weddings and family pictures for friends. Over time her side hustle hobby became a grown-up business, one she now runs in partnership with her husband, Chris. Today, Jen & Chris Creed Photography is laid-back wedding photography company based here in Nashville that love documenting real moments for joyful couples. Chris was our pre-conversation bartender so we first had to talk about delish drinks (recipes are noted in the show notes so be sure to check it out at bossesandbourbon.com). 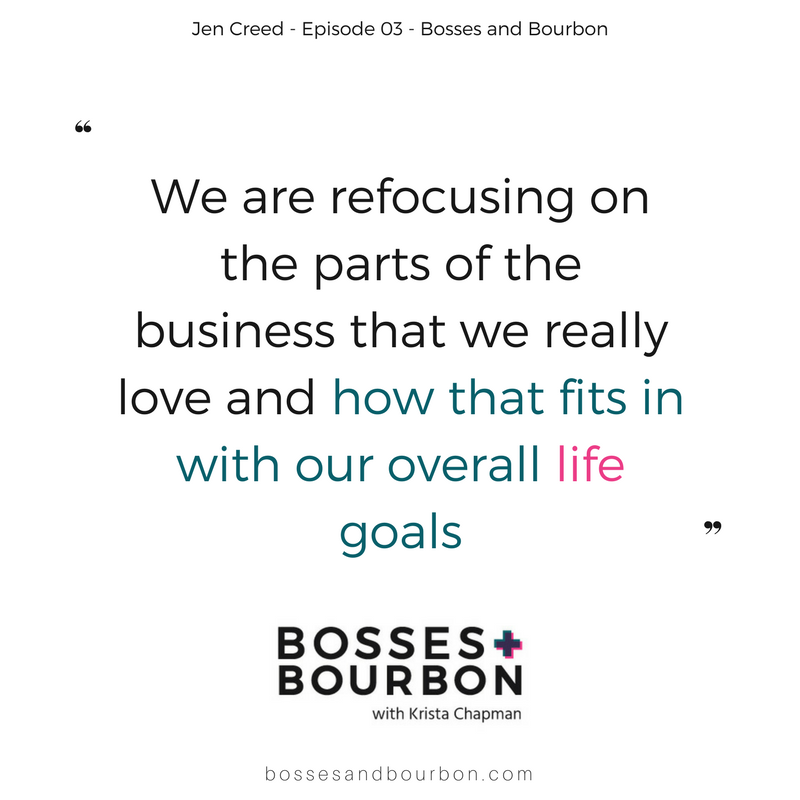 Then after reminiscing about poorly chosen college majors, we discussed the challenges and benefits of having a business with your spouse, how Jen finds inspiration that keeps her connected to her why and some cool ways past couples has personalized their wedding days. We also chatted about style shoots, current photography trends and creating an intentional business. It never ceases to amaze me how much you learn over a decade of business and life – too often we think we are supposed to know it all right out of the gate. 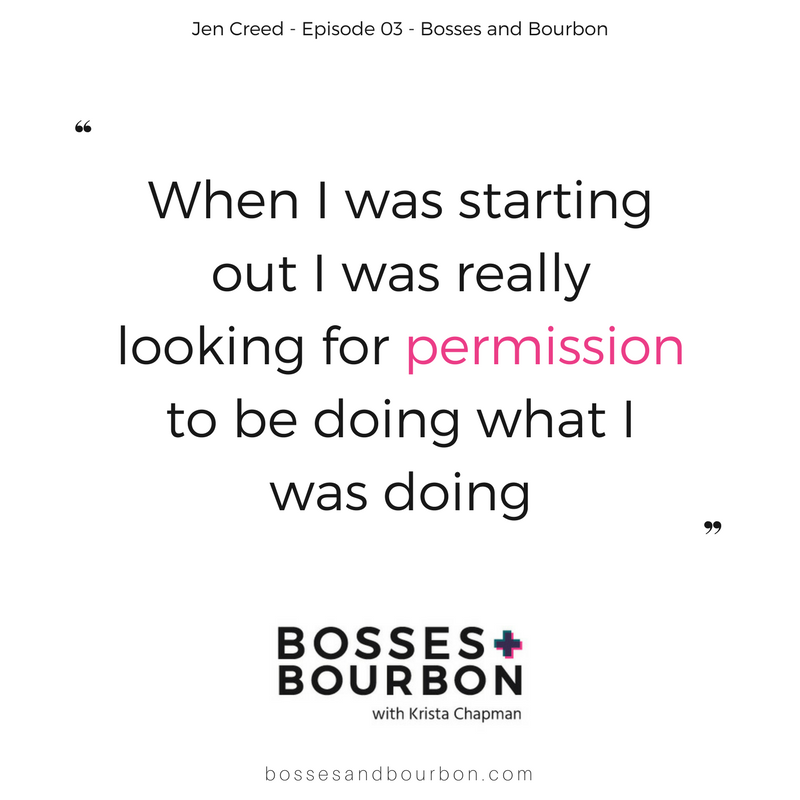 I love how Jen’s business has evolved to continue to serve her life right now – even if that means we stumble some along the way. Lots was covered in this episode – funny how that happens when there is a drink in your hand. Let’s get to it. Muddle Lemon and mint in a tall glass. Fill the glass with ice, add bourbon and top with club soda. Pour into a shaker tin and back into your glass to combine, adding a mint leaf and lemon wedge as garnish. You can get in touch with Jen at jen@jenandchriscreed.com and learn more about their photography at their website. Be sure to also check out their new podcast for nearly engaged couples planning a wedding in Nashville, The Nashville Wedding Podcast. What did you think? 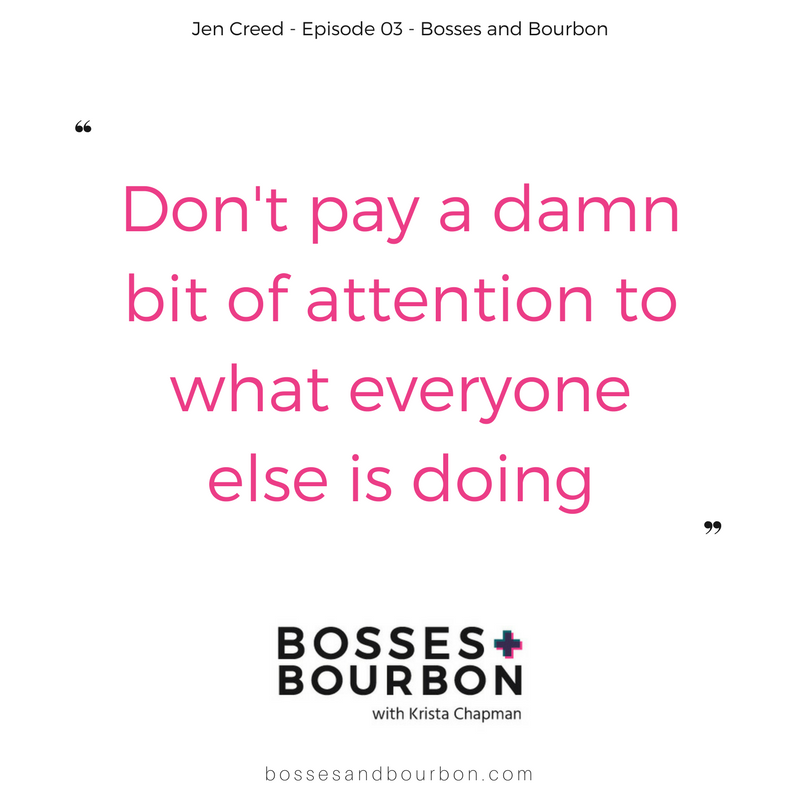 Review the podcast and subscribe to Bosses & Bourbon. Have a question? Email Krista at krista@bossesandbourbon.com.